The top level decision to bury the two soldiers in Florence was recently taken. It has also been decided that the soil from their graves will be brought to India and handed over to their relatives. The Italian authorities in 2010 began investigations for identifying the remains. 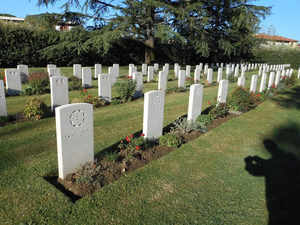 NEW DELHI: Seventy four years after two Indian soldiers went “missing in action” during a World War II battle against the German Army in Italy, their mortal remains will finally be buried at a cemetery in Florence where their “fallen comrades lie”, said government officials. The soldiers have been identified as Sepoy Hari Singh, then 20 years of age, who belonged to Rohtak, Haryana and Sepoy Palu Ram, then 19 years old, who belonged to Hisar, also from the same state, said officials dealing with the matter. 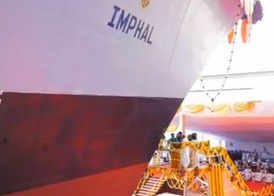 The authorities had initially faced difficulties in identifying which corpse belonged to whom. However, later the identification of the corpses and their family details were confirmed. This followed the Indian Army top brass approving the burial of the remains of the soldiers at the Girone Monumental Cemetery in Florence. They will be shifted to the commonwealth graves. The two were serving with the 4th Battalion of the 13th Frontier Force Rifles, which was under the British Indian Army, but after 1947 became part of the Pakistan Army. This is the same regiment in which Field Marshal Sam Manekshaw was posted to soon after his commissioning. They were declared missing in action since September 13, 1944 from the Battle of Poggio Alto (near Florence), where they fought against the 362 German Infantry Division. Then in 1966, human bones were found in Poggio Alto. The Italian authorities in 2010 began investigations for identifying the remains. The DNA tests in 2012 revealed that the remains belonged to non-European adults, aged around 20 to 21 years. “The data referenced from the Commonwealth War Graves Commission relating to the time and location of the battle and the list of missing persons, led the investigation to conclude that the remains are those of Hari Singh, 20 years old from Rohtak and Palu Ram, who was 19 years old and came from Hisar,” said an official. On April 25 this year, the Indian defence attache to Italy had attended the ceremony of the Italian National Day of Liberation and paid respects to the remains of the two soldiers. Although the remains were identified, it was not clear which of two corpses belonged to whom, because they both differ in height. On September 26, the army headquarters informed the Indian Embassy in Italy that the service documents of Hari Singh and Palu Ram are maintained by the Grenadiers regiment. It added “based on height details available in records...the identification of the corpses and family details along with address is confirmed”. The army also approved the burial of the mortal remains at the cemetery in Florence. Last year, in a similar instance, the mortal remains of two Indian soldiers of the Garhwal Rifles, who fought during the World War 1 in France, were buried with full military honours at the Laventie Military Cemetery in France.